Perspectiva is a training and consulting firm specializing in helping clients negotiate and communicate more effectively. Our services include corporate education workshops, coaching, mediation, facilitation and diversity consulting. 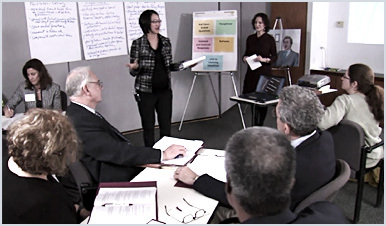 Perspectiva builds upon the core frameworks developed at the Harvard Negotiation Project and applies them to clients’ specific business challenges. For over a decade, Perspectiva consultants have collaborated with the Harvard Negotiation Project and affiliated consulting firms, and bring this wealth of experience to their client solutions. Copyright © 2019 Perspectiva LLC. All rights reserved.